Reason number 453 I love living in Los Angeles: the huge variety of cuisines we have here. Whatever you want to eat — French food, Oaxacan, Tibetan, Filipino, Fusian Korean-Mexican — not only can you find it, but there’s probably a truck that will serve it to you right outside your office building. As an Angeleno and a foodie, eating, and cooking, ethnic food is second nature to me. My weekly shopping usually involves a swing through Koreatown, a stop at the Armenian markets in Glendale, or a visit to the Chinese supermarkets in the San Gabriel Valley. So when it came time to choose a dish for Project Food Blog’s second challenge, Cooking outside your Comfort Zone, I was a bit flummoxed. I could have tried to discover some cuisine or microregion I hadn’t actually cooked (“Hmm, I’ve never tasted the cuisine of Chad!”), or gone for broad irony (“After a visit from my mother in law, I’ve determined that nothing is more foreign than the cuisine of the Southern United States!”), but in the end I decided to go for an old favorite: Thai Green Curry. We eat Thai food a lot. We’ve sought out Thai street festivals, upscale Thai restaurants, and neighborhood takeout joints. 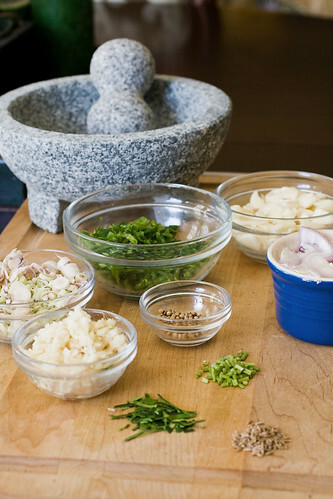 I, always looking for the next thing, am eager to try a different dish every time — Tom Ka Gai, Larb, Mee Krob. But my husband always orders the same thing: green curry. He’s ordered it in fancy Thai restaurants, Japanese restaurants inexplicably, serving Thai food, takeout lunch buffets, and classic Thai joints in Thai town. He’s probably at least eaten a hundred different versions of green curry in the 12 years I’ve known him. I’ve tried to make it, using the Thai Kitchen curry paste I found in the supermarket and a can of coconut milk, but the flavors weren’t there. I knew if I could make a good, authentic, green curry, my husband would love me forever. (I hope he’ll love me forever anyway, but I figured a good green curry wouldn’t hurt). And what’s more, this harried cook went way outside her comfort zone in the preparation. Instead of my usual MO, which is all about maximum flavor in minimum steps (and minimal dirty dishes!) I decided to strive for true authenticity, which meant a shopping excursion in North Hollywood, and pounding my homemade curry paste by hand in a granite mortar and pestle, the way a true Thai cook would do it. After perusing several recipes on the internet, I decided to go for this one by the lovely Pim Te. First, Pim actually IS Thai, which helps, I think (I’m looking at YOU, Bobby Flay), second, she says everyone else is doing it wrong (which in my mind, is always a market for true authenticity), and third, she lives in a major metropolitan area in California, which means we’re likely to have access to similar grocery items. Know what your ingredients look like. At the market I went to, turmeric root (which I didn’t need) and galangal (which I did), were right next to each other, both unlabeled. They’re both rhizomes (similar to fresh ginger), commonly used in Thai cooking. Fortunately, I had looked at a few pictures of what I was looking for, so I was able to correctly use galangal. Be flexible. Even at a huge and well-stocked market, you’re likely to have a few duds. I couldn’t find Kaffir Limes anywhere. I bought some kaffir lime leaves, figured it would add some of the flavor, even if it wasn’t totally authentic, and moved on. Be adventurous. Most ethnic markets have a wide selection of prepared foods. I always try to pick up something new, even if I can’t identify it. On this trip that led me to some delicious buns filled with pandan custard. I got my ingredients home, and proceeded to make my curry paste. Which involved chopping all the ingredients into tiny pieces (which took FOREVER, and I even got the Nuni to help me peel all the garlic), then pounding them individually in my granite mortar and pestle (mine is actually a granite molcajete, which is slightly different than the traditional Thai krok). The pounding also took forever, and required frequent breaks — those pestles are heavy! I followed Pim’s advice on pounding order and also discovered a few tips on my own. 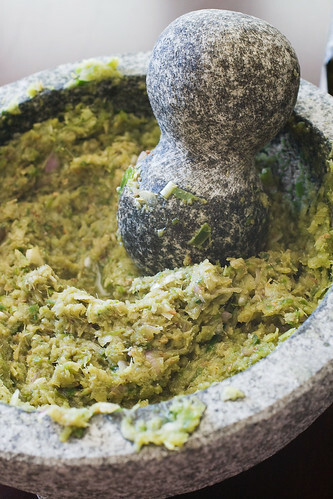 First, while you’re pounding, move the bulk of your paste to the sides of your mortar before adding a small amount of the unpounded ingredients — get those pulverized, then incorporate them into the paste. Second, when they say pound, they mean pound. A mortar and pestle is often used with a circular motion rubbing the ingredients against the sides, but I found for this, particularly for the fibrous ingredients like lemongrass and galangal, an up and down pounding motion worked best. Pounding is supposed to be better than a food processor because it releases the essential oils of the ingredients, and I could tell that the paste was incredibly moist, even from the dry ingredients like lemongrass. There was also something very soothing about the rhythmic pounding, and seeing the heavy pestle do so much damage. Once the paste was made, I went on to make the curry. Having experienced first hand the number of chilies in the dish, I was expecting the final product to be unbearably spicy, and I was tempted to only use some of the paste, but I trusted Pim. The final product was spicy, yes, but enough to make it exciting, not inedible. The incredible texture of the curry paste made the dish substantial and far less soupy than the Thai Kitchen version. And the flavors? Hot, sour, salty and sweet are the four cornerstones of Thai cooking, and this dish had all of them in spades. As for the husband, I fed him the curry and eagerly awaited his verdict. He said “I think you should quit your job and make this every day.” I guess that means he liked it. About 8 oz. Thai apple eggplants (about 6 smallish ones), cut into quarters. 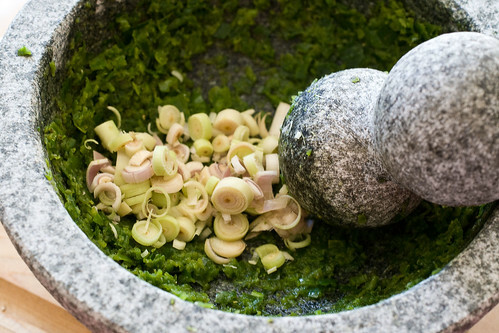 Pound the ingredients in a mortar and pestle one at a time in this order: first the chillies, then the lemongrass, galangal, lime leaves and cilantro stems. Then the garlic, and the shallots, and the seasonings, and finally the shrimp paste. You'll end up with about a cup of paste that's fairly moist with a lot of texture. Heat up a large wok or saute pain with the oil, add the curry paste and cook for a few minutes, stirring. Skim the creamy part off the top of your coconut milk add to the pan, and cook until the paste is dissolved in the coconut cream. Let it bubble until the oil starts to separate, then add the remainder of the coconut milk, and let it cook until the oil starts to soften again. Add the fish sauce and sugar, stir to dissolve, then add the chicken and eggplant. Turn the heat down to medium low, cover, and cook, stirring periodically, until the chicken is cooked through and the eggplant is tender. Serve over Jasmine rice, garnished with Thai basil. Am I going to be making hand-pounded curry paste again? If I have a lot of free time and aggression to get out. Or if I want to be a really really good wife. Whoa, lady. MAD PROPS for making the curry paste by hand! You inspired me to get back to the old-fashioned way of cooking and using our marble mortar & pestle. My grandmothers always say there’s no substitute for it. Awesome stuff Kate. I am pretty sure Pim will agree too! Good luck – I hope I will be there with you in Round 3 when you advance. I LOVE Thai food too, and your food looks so fresh and tasty! The close-up pic of the mortar is so powerful. Great post, and you know you got my vote! You GO girl!! Your curry looks damn good! You definitely went for authentic! Looks delicious. Any leftovers you can deliver for lunch tomorrow? Now that you’re in town, you’ll have to try this little Thai place we got to called Daisy Mint. It’s on Colorado Blvd. If you try it, let me know how it compares. I can’t wait to try this. Photos are great, instructions are clear, and all I need is a quick trip to the Thai grocer. 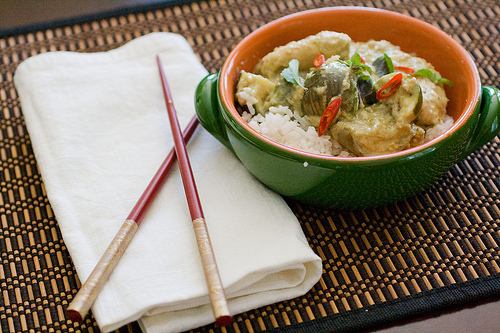 My husband always orders Thai green curry, too, and I can’t wait to make it for him at home. Okay, that’s awesome. I *so* wanted to do green curry paste! (I couldn’t source all the ingredients in time.) Green curry is a favorite of mine and you’ve done an amazing job. 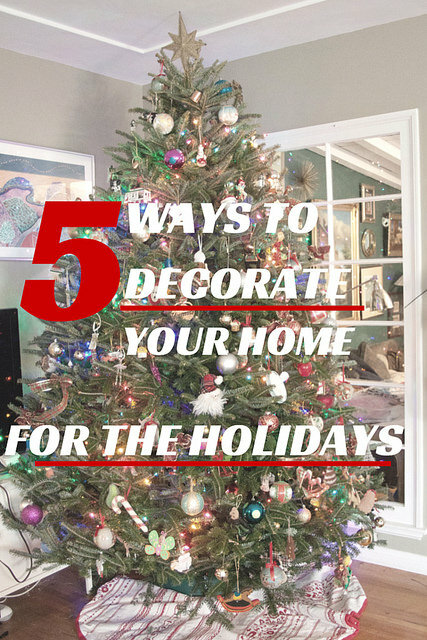 Love the photos and the tips. Got my vote, ofc. We think alike. I made a red curry for this challenge. Your’s looks great! Looks like we both got some good arm workouts out of this challenge! I admire the process you followed to keep it authentic and the meal looks like it turned out delicious. You got my vote. Not only a great post for the competition, but a great education on how to make a real green curry. Yes it’s time consuming, but MY GOD, that looks incredibly delicious and fresh. I need to make this to truly understand the dish. Thank you for posting! You got my vote! That looks so laborious (and worth it). I feel guilty for buying a can of the stuff the other day. Were you totally worn out by the end? Sometimes when I cook something that takes forever I can barely stay awake to eat it. Just voted for you, nice follow up to a strong intro post! 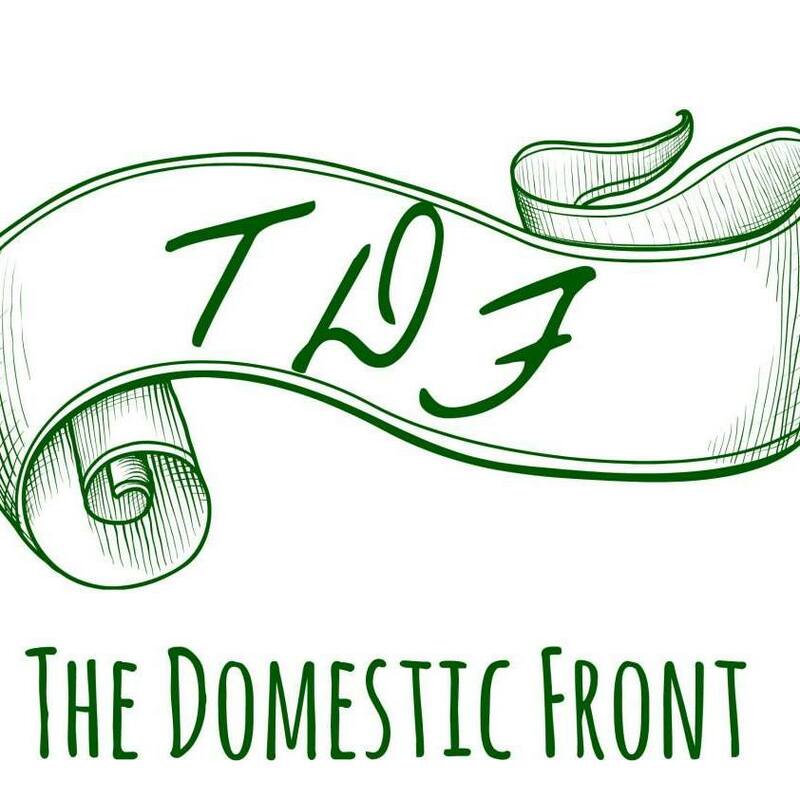 There are a few Thai curries in this challenge, and yours is the best post I’ve seen so far. Going to vote for you now. Good luck. I agree with Sara…this Thai curry is by far the best I’ve seen. 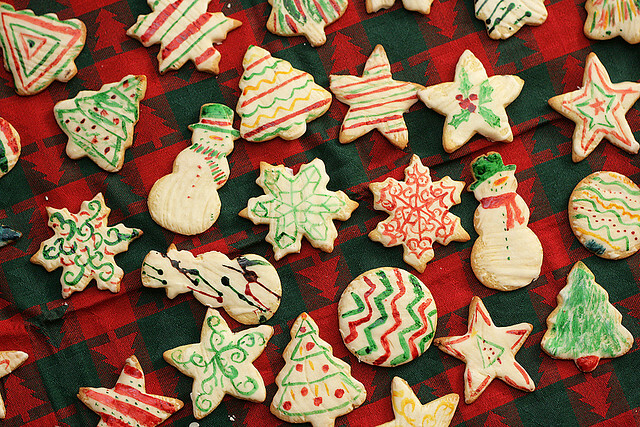 What a wonderful job…and what vibrant flavors and colors. I loved reading your post, and I’m glad that I found your blog. Thank you for sharing! Wow, this looks delicious, and your pictures are great! I am sure that you have won over your husband’s stomach forever!! That green curry paste looks great and I think it will make Pim proud! 🙂 I also love that photo of all your ingredients laid out. Voting for you now and good luck! I LOVE THIS POST! Not only am I totally impressed, but I am absolutely in love with your Guide to Shopping in Ethnic Markets–genius! Talk about authentic! I’m impressed! Love the guide to shopping in ethnic markets, too. It’s an adventure! I love that you added in the guide to shopping in ethnic markets — it’s usually so intimidating for people not from that culture. 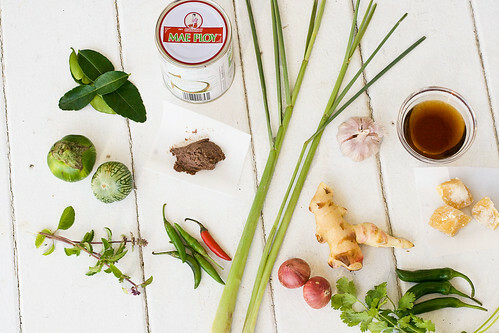 Your green curry paste looks delish! Good luck in round 2! Voted for you at FoodBuzz! I loved your husband’s comment about quitting your job and making this dish everyday. Can’t get more positive feedback than that and I agree with him. Green curry is one of my favorite dishes to order–you did great!